Posted on Friday, December 14th, 2018 at 12:37 pm. 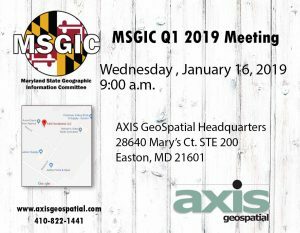 AXIS GeoSpatial will host the Q1 2019 MSGIC general membership meeting on January 16 at the Easton, MD headquarters office from 9 a.m. – 4 p.m.. Members park in the rear lot and enter through the main entrance and take stairs or elevator to the second floor. 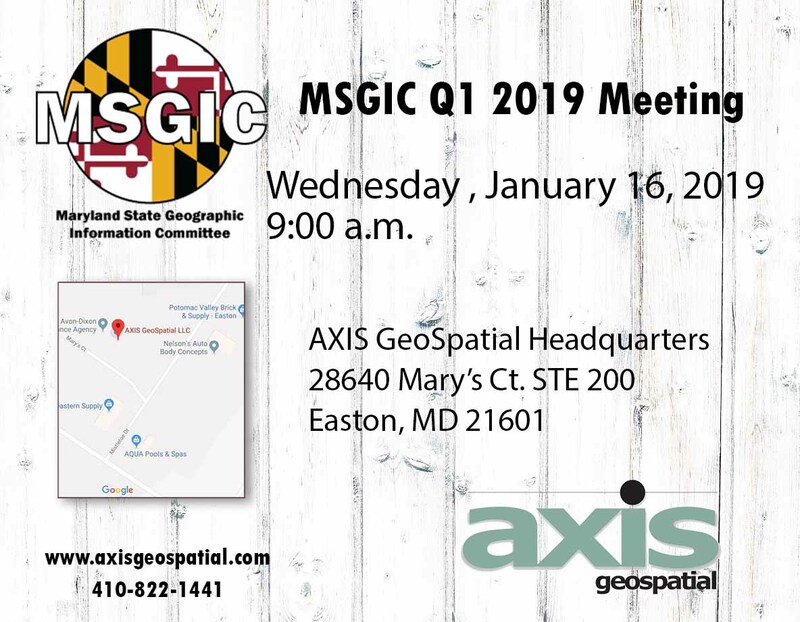 A continental breakfast will be provided by AXIS GeoSpatial. Click here to see the full meeting agenda.